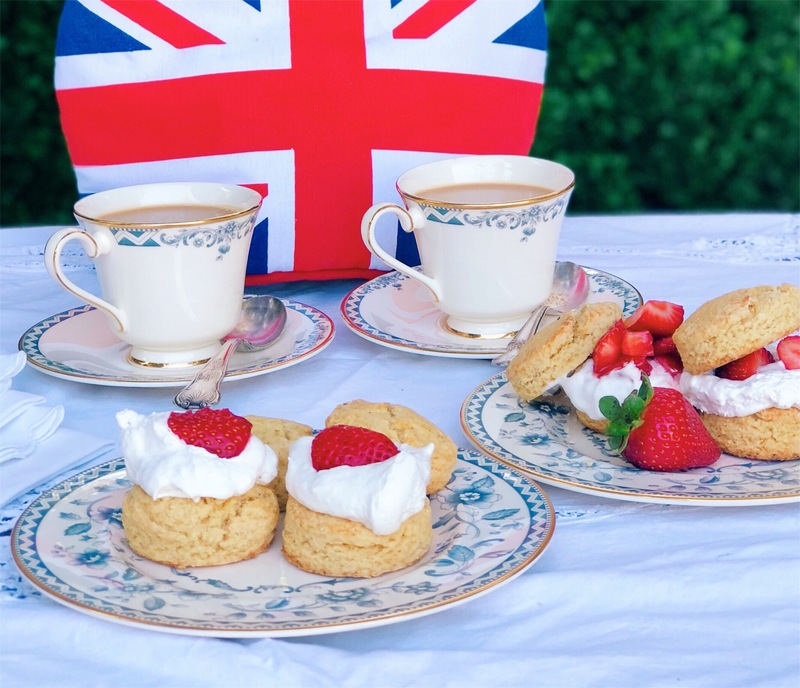 I cannot get through a summer without having scones and cream with fresh strawberries – I CANNOT!!! It reminds me of warm, lazy afternoons in my Mom’s garden, where she grew all her own fruit. Of course not that I don’t eat animal products, my scones & cream have had to be slightly tweaked, but they’re just as good as the cow butter version. Actually, many prefer my vegan scones with strawberries and coconut cream because they don’t feel bad after eating them. Sift the flour, salt and baking powder into a large bowl. Add the vegan butter and “rub” it into the flour with your fingers until the mixture resembles large breadcrumbs. Add the soy milk and lemon juice and work it into a ball with your hands. If it’s too sticky, add a little more flour. Turn the ball onto a surface dusted with flour and press it out into a circle about 2 inches thick. Use a deep cookie cutter to cut out circles. Place them on a parchment-lined baking sheet. Bake for 15- 20 minutes. Allow them to cool on a wire rack. When completely cool, cut in half and top each half with a generous dollop of coconut cream and fresh strawberries. My Wellness Start Guide, Microbiome Handbook & Anti-Aging Skincare Picks delivered straight to your inbox!